River Plate will refuse to play the postponed Copa Libertadores final second leg in Madrid after issuing a statement to claim that they are “in no way responsible” for the ugly and violent scenes that led to last weekend’s abandonment in Buenos Aires. The second-leg was abandoned at Monumental Stadium after Boca Juniors team coach was attacked by River fans, while violent clashes with police left a number of players suffering the effects of tear gas. 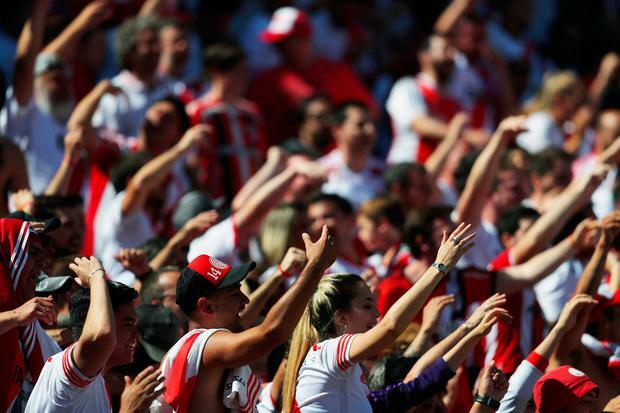 Conmenbol responded to the unacceptable scenes by rescheduling the match for later this month in Madrid, away from those responsible for the fan violence, but River Plate have said that they will refuse to play the match more than 6,200 miles away in Spain. The statement labelled the decision "incomprehensible", and said that it "distorts the competition" as it denies all fans the chance to see what is the biggest club game seen in Argentine football history. "Argentine football as a whole and the Argentine Football Association cannot and should not allow a handful of violent [fans] to impede the development of the Superclasico in our country," the statement read.